Styling a New Future – Today! Cara’s salon, Me Salon, and Lori with MTM Cincinnati (who provides all the models for our Cincy Chic events) are partnering for a great cause: to raise funds and awareness for the Pancreatic Cancer Action Network. 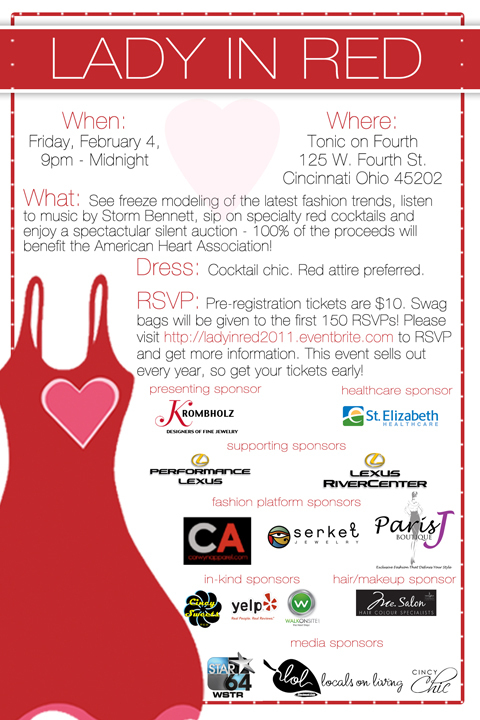 At the event, you can enjoy an evening of cocktails, hors d’oeuvres, a silent auction and fashion show featuring models from MTM Agency, hair and makeup by Me Salon, and clothing by Amy Kirchen. The ticket price is $50, but with all that’s included – and considering the great cause – it’s a small price to pay for a big night of fun! I *highly* recommend checking it out, my fashionista friends! It’s going to be a great event! • Pancreatic cancer is the fourth leading cause of cancer death in the United States. • This year, 43,140 people will be diagnosed with pancreatic cancer in the United States, and 36,800 will die from the disease. the survival rate has not improved substantially over nearly 40 years. • Pancreatic cancer has the highest mortality rate of all major cancers. 94% of pancreatic cancer patients will die within five years of diagnosis – only 6% will survive more than five years. 75% of patients die within the first year of diagnosis.